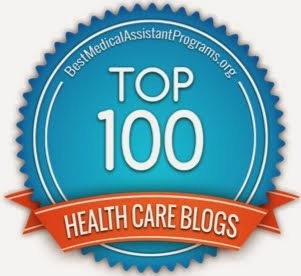 The Healthcare Data, Technology & Services Blog: How can tech be used to reach out to people who may not seek help or sign up to receive it? How can tech be used to reach out to people who may not seek help or sign up to receive it? 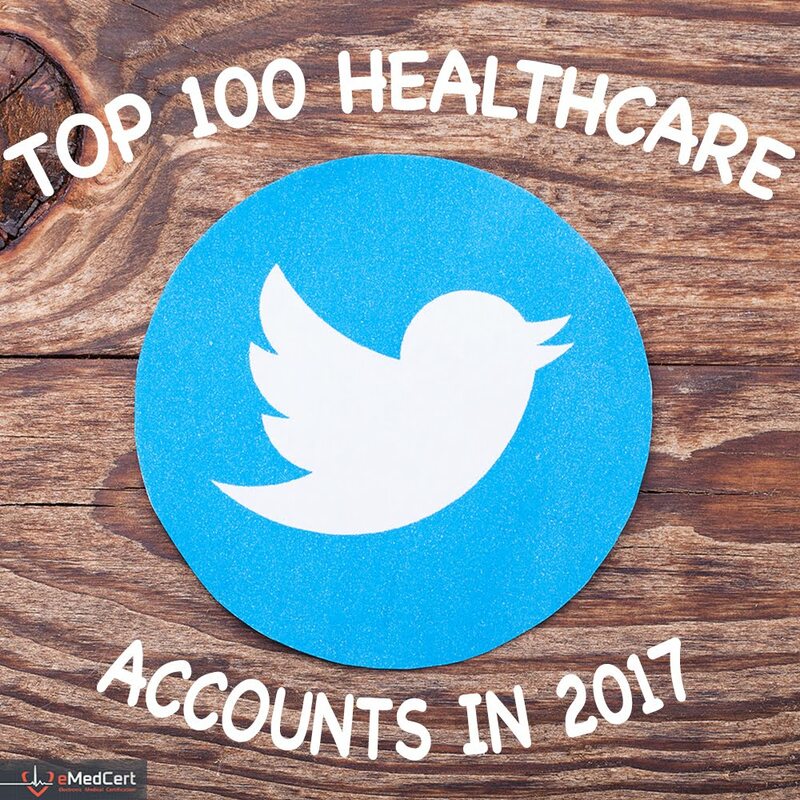 In previous posts I shared curated tweets covering Topic #1 and Topic #2 from the #HITsm tweetchat titled “Addressing Healthcare via Non-Medical, Community-Based Resources and Tools” that I hosted on Friday, June 17, 2016. In this post I will share curated tweets from Topic #3. Topic #3: How can tech be used to reach out to people who may not seek help or sign up to receive it? @scottyweitzman: A phone or tablet can become very helpful to those in need with new tech in counseling / help lines, maybe more comfort. @shimcode: Doesn't have to be 'widespread. Social media' but even like 'private Twitter' or moderated communities. @johnmtrader: Privacy issues of using social for this are also a sticky wicket. 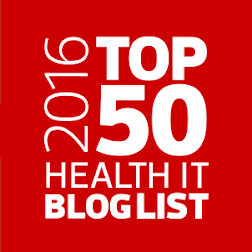 @matt_r_fisher: HIPAA impact depends on use. Would more influence how to meet goal. Don't usually view as hard stop. @shimcode: Tech can improve and scale how information is communicated (e.g. timing, content and format). @scottyweitzman: It's available 24/7, follows compliance/regs, and offers a dedicated un-distracted agent for people. @ebukstel: There are over 20M "Obama Phones" w/o data access in low income areas, never assume tech is always there. @shimcode: Agreed. And there's value in providing assistance to 'small groups' - scales a bit. @shereesepubhlth: I strongly feel; Single Point of Entry platforms and Patient Care Advisory Boards help w/ most of this. @matt_r_fisher: Seems obvious that tech can be used. Everyone is glued to smartphones now. Now h/c needs come up to speed. 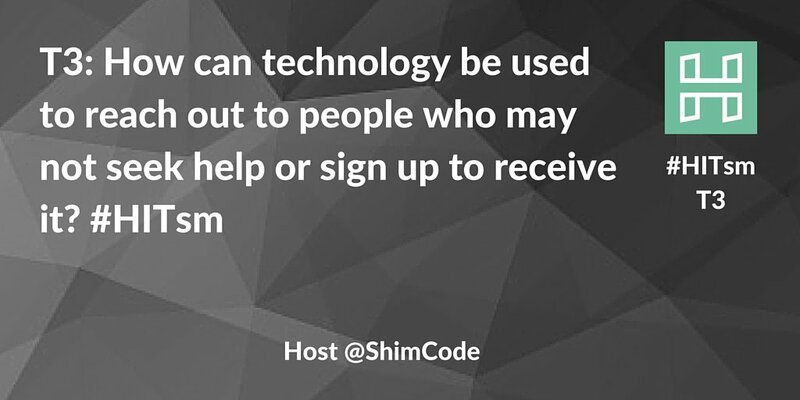 @shimcode: Tech can automate follow-up and explicit encouragement via text messages and emails. @ebukstel: Community outreach, some docs visited a grocery store on Thanksgiving, entered info about pts in tablet. @nxtstop1: Super-users are identified by billing data. Their issues are addressed by putting health clinics in their apartment buildings! 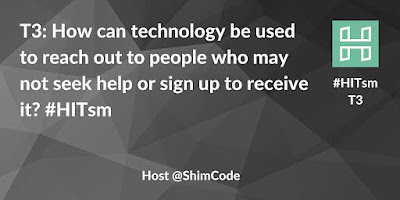 @shimcode: (Previously mentioned) Algorithms to identify 'super utilizers' will be an important tech-supported function. @healthcora: "Frequent flyers" are low-hanging fruit - very easy to identify! 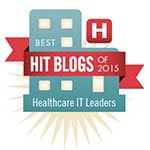 @glhc_hie: #HIE can automatically "flag" a pt. who's presented to ANY E.D. 10+X and auto-refer them for intervention svcs! We HAVE the Tech! @uiandme: Silos? Does HC track Homeless Census Reports available for many counties? Can that data be leveraged? @shawnmyersrn: We should reuse existing technology/networks as much as possible (SMS, Facebook) don’t reinvent the wheel for healthcare! @mandibpro: Couldn't we also expand #HL7 #FHIR profiles to include #SDoH, train intake staff to capture info? 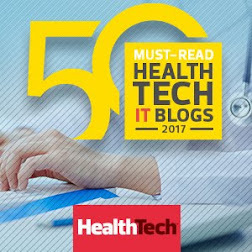 @2healthguru: Is it ‘tech’ or people, process and culture? Tech as enabler” But vision first? @glhc_hie: Also, Gamification and incentives (in mHealth for example) work! And are WAY cheaper than the aftermath of non-compliance! @mandibpro: Instagram offers pop-ups w/ hotlines/help resources trigger term searched. Could be applied to other needs. @mandibpro: Never seen an intake form that asked me whether I had my own transpo, had A/C or electric or phone. Topics #4, #5 & #6 Are Next! I'm currently curating tweets from the remaining three topics that were discussed in the tweetchat. 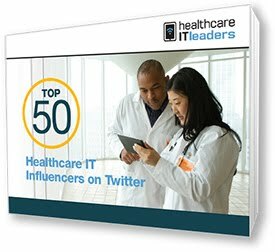 They're coming soon, For more information on healthcare data, technology and services, consider following me on Twitter.